BOULOGNE-BILLANCOURT, France -- Renault posted record sales and profit for 2017, bolstering CEO Carlos Ghosn's position in the face of government demands for a clearer succession plan and deeper integration with alliance partner Nissan. Operating profit surged 17.4 percent to an all-time high of 3.85 billion euros ($4.84 billion), or 6.6 percent of revenue, Renault said in a statement on Friday. Revenue rose 14.7 percent to 58.8 billion on buoyant European demand. 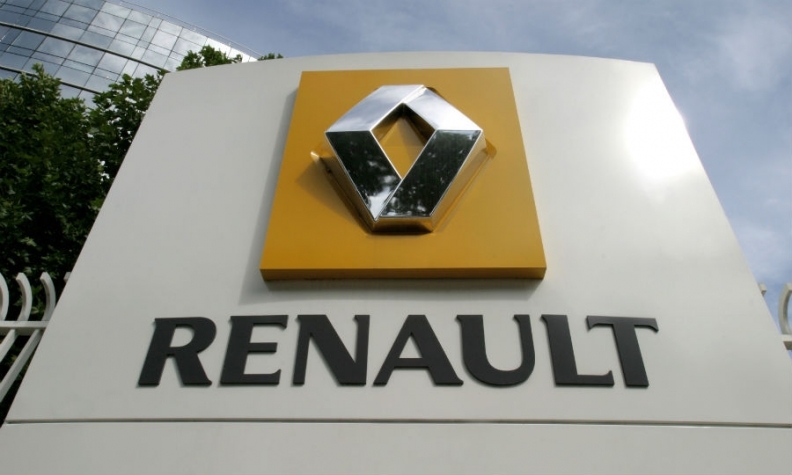 Operating profit at the core automotive division, excluding the recently consolidated AvtoVAZ business in Russia, rose 15.2 percent to 363 million euros, Renault said. Manufacturing cost savings increased to 663 million euros from 184 million. Renault pledged to maintain its group operating margin above 6 percent in 2018 despite worsening currency effects that reduced its full-year profit by 300 million euros. Net income rose 49.6 percent to 5.11 billion euros, Renault said, helped by a 2.79 billion euro contribution from Nissan. Renault's 2017 global vehicle deliveries rose 8.5 percent, the company disclosed last month, with about one-third of the growth coming from Europe - helped by its new Koleos midsize SUV and recently revamped Megane family of compact cars. Ghosn has also agreed to cut his salary by about 30 percent, Renault said, securing government support for his reduced package. Shareholders led by the French state voted against his compensation in 2016 but approved it narrowly last year. The strong financial performance may help Ghosn to resist pressure from the French government, Renault's biggest shareholder, for a closer tie-up with Nissan that safeguards national interests. The state has a 15 percent stake in Renault and two board seats. Renault's board said on Thursday it would ask shareholders in June to back Ghosn for another four-year term, during which he would "take decisive steps to make the alliance irreversible" and "strengthen the succession plan." Renault owns 43.4 percent of its Japanese partner, which in turn controls Mitsubishi Motors via a 34 percent stake.